Once you found the user(s) you were looking for, select them by checking the corresponding check-boxes in the left. 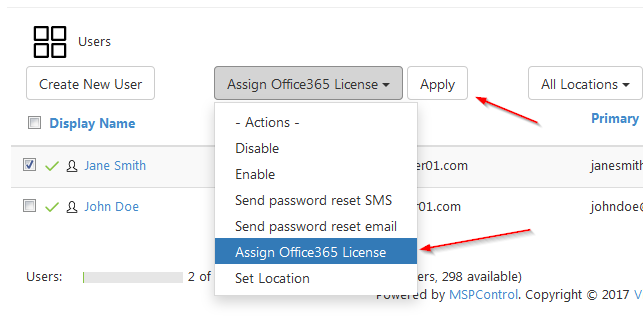 Then select Assign Office 365 License in the drop-down menu Actions, and click Apply. 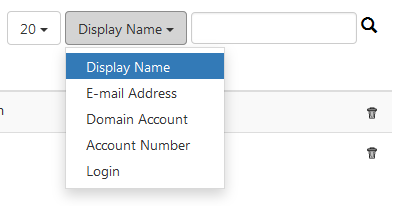 In the new window select a license from a list and click Assign. Note: you can assign more than one license for a user, and use one license for several users.